voyage in October 1929. 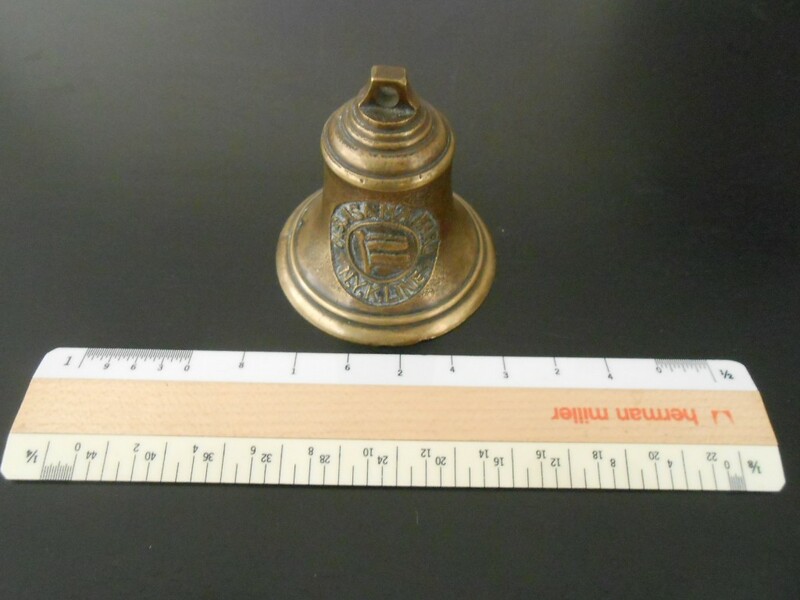 The bell could use a good polish .. and the “clacker” is missing …easy to fix! Stamped made in japan ( of course)! 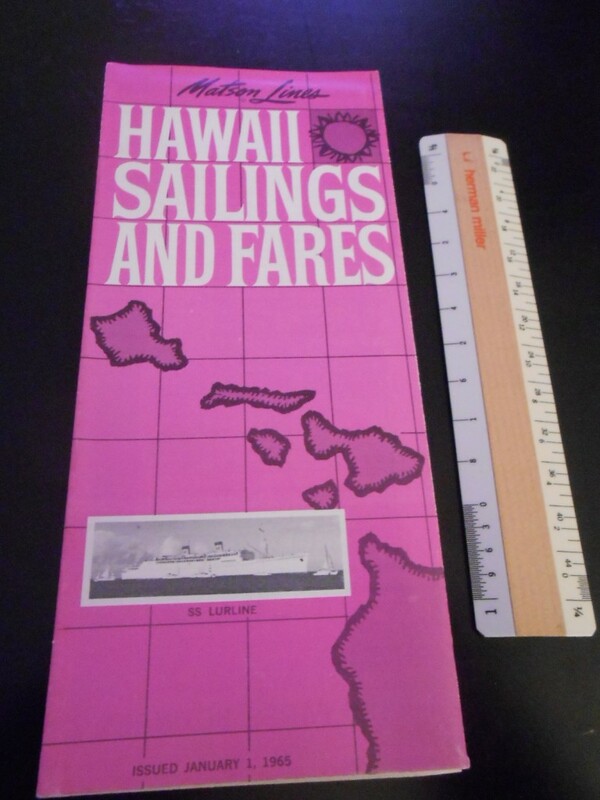 pretty rare to find NYK items …especially related to special voyages! 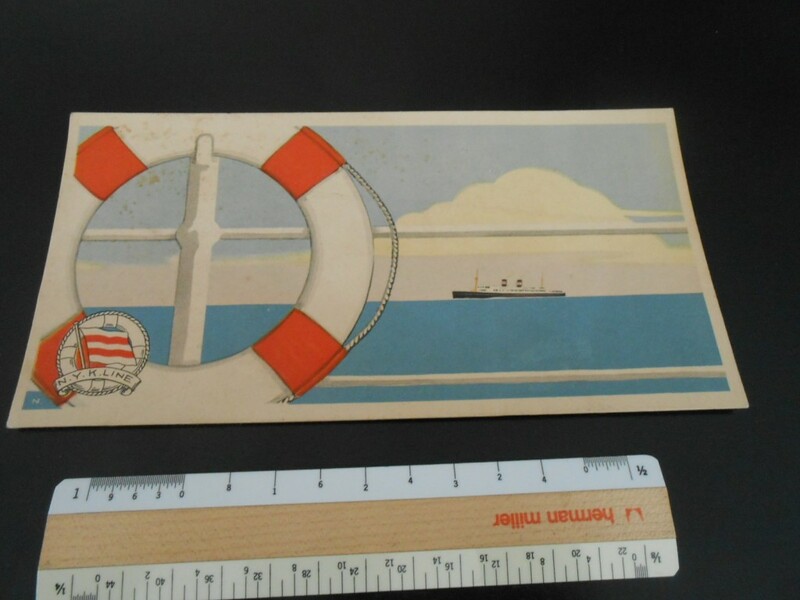 Lovely foldout, issued in March 1965 this is in great shape. pretty ocean blue there are a few ship picture inside with all the rate info … also nice little description of the 2 sisters. 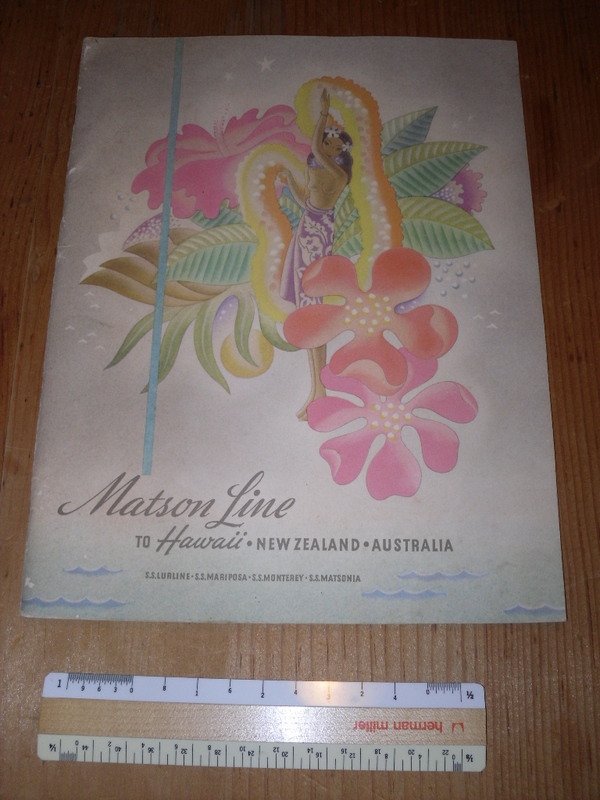 Excellent rates and sailings folder for the lovely Lurline. 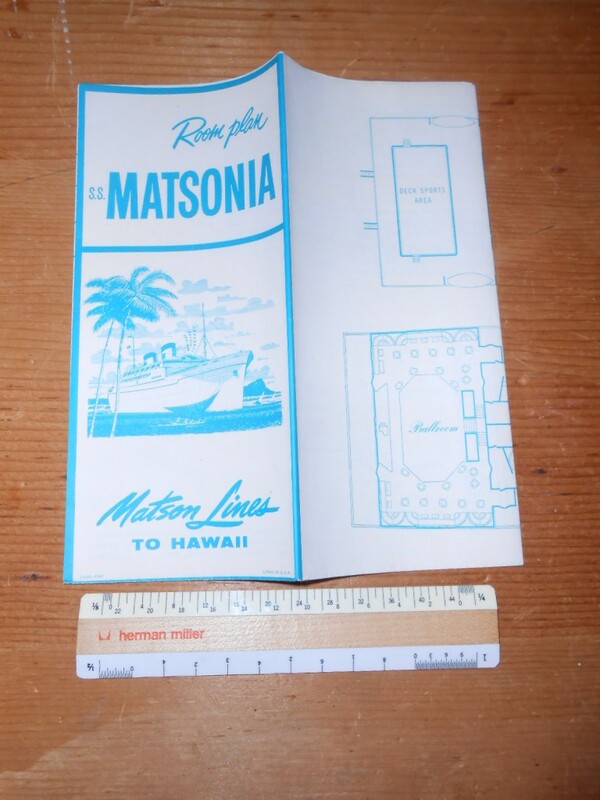 She was rebuilt after the war and upon leaving the Matson fleet she went to Chandris. Excellent condition Love the purple cover. 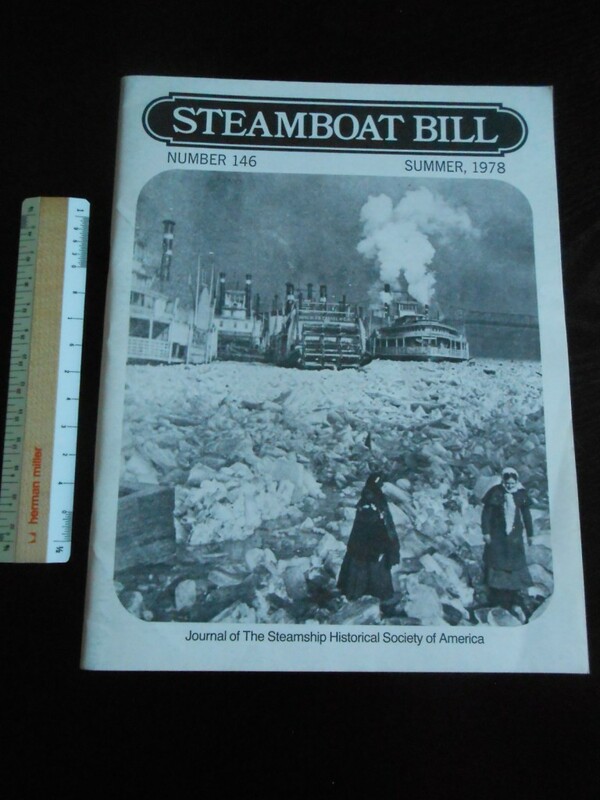 Great issue of SSB, the journal of the Steamship Historical Society of America. 130 glorious pages of steamship news and articles …. the feature being a 9 page article celebrating the long life of Gibbs’ Malolo, which had been sold for Scrap in May of 1977. Very interesting read, just wonderful! 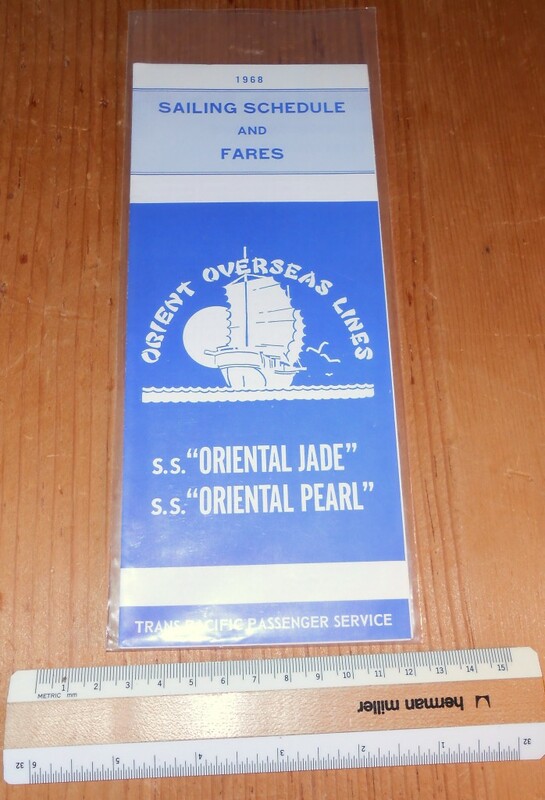 Orient Overseas lines: Oriental Pearl and Oriental Jade. Nice sailing schedule fo these 2 sisters that came to OOL from American Export. These dolls were 2 of the 4 Aces… and were solidly built and served AE and were a good investment for Tung for many years to come. They are both but a memory today!